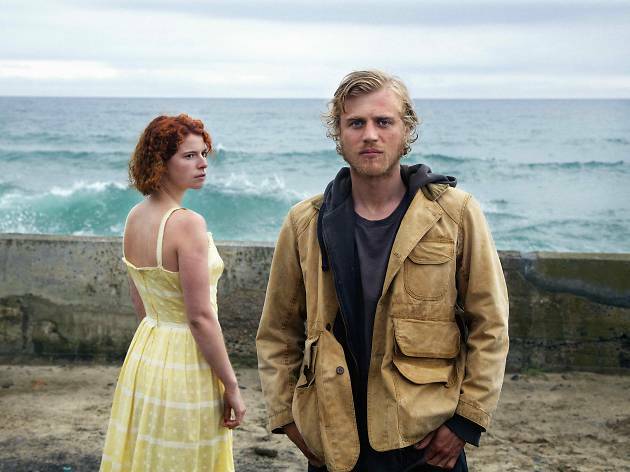 Jessie Buckley and Johnny Flynn burn off the screen in this jittery, surprising Jersey-set psycho-drama. Immaculately composed yet skittish, edgy and surprising, a chill emanates from this impressive Jersey-set debut by writer-director Michael Pearce that will have you hugging your sides. In the sense that there’s a serial killer at large in it, it’s a thriller, but ‘Beast’ takes more of its cues from fairytales, throwing in moments of gothic horror and the odd dead bunny along the way. Just when you think you’ve got it pinned down, it hairpins off in a new direction. At its heart is Jessie Buckley’s prim Moll, a twenty-something still atoning for a past mistake her controlling mum (Geraldine James) holds over her. Local wrong ’un Pascal (Johnny Flynn) offers an escape and a whiff of danger, but is he actually the killer? The gifted pair pulse with intensity, with Flynn full of folksy charisma and Buckley making a tricky part look easy. Look out for a battle of wills with a police interrogator of otherworldly menace (Olwen Fouéré). Satisfyingly, there’s much more here than a simple whodunnit. Bubbling under the surface is a takedown of stifling middle-class mores, as well as a sidewise glance at lazy xenophobia (migrant labourers are victimised during the hunt for the killer). Pearce, a Jersey native, locates all this in two contrasting settings: affluent suburbs that abut scrubland and jagged cliffs. It feels neatly analogous to Moll herself; a strait-laced woman with wildness in her eyes. I was glad to go see an independent film, after a long run of only watching Oscars nominated pictures. I must say, I already loved Johnny Flynn from "Lovesick" and I was curious to see him in another role. Throughout the film, there is a sense of tension, even in the happy moments there is always darkness and despair. The actors play their roles really well, and special mention to Geraldine James who play a very controlling Mum. All along, we want to support the young lovers, maybe their love will save them from their darkness? I really loved the film, and would watch it again. l remain unconvinced about the film's worthiness.It is all a bit strangled and stagy..The film does have an edgy tension,but this never changes and becomes so one dimensional.The film also is good at giving a sense of place ie Jersey.The acting at best is ordinary and the dialogue is a bit amateur.It has it's moments but as the film moves on l became bored and then irritated by the whole plot.More thought should have been made in the script and production before they started filming.